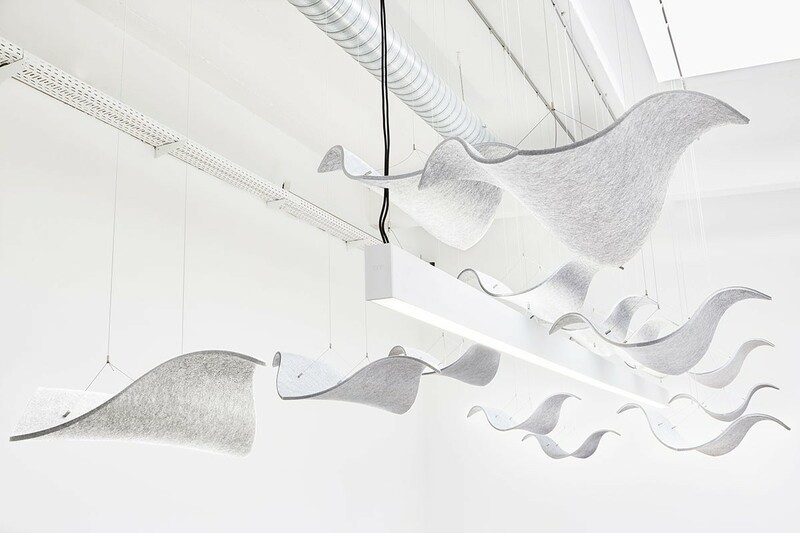 Wing takes flight to provide playful sound absorption overhead. Beautiful both as a single object or as a flock, this gracefully curved acoustic panel provides an impressive Noise Reduction Coefficient rating of 0.65. 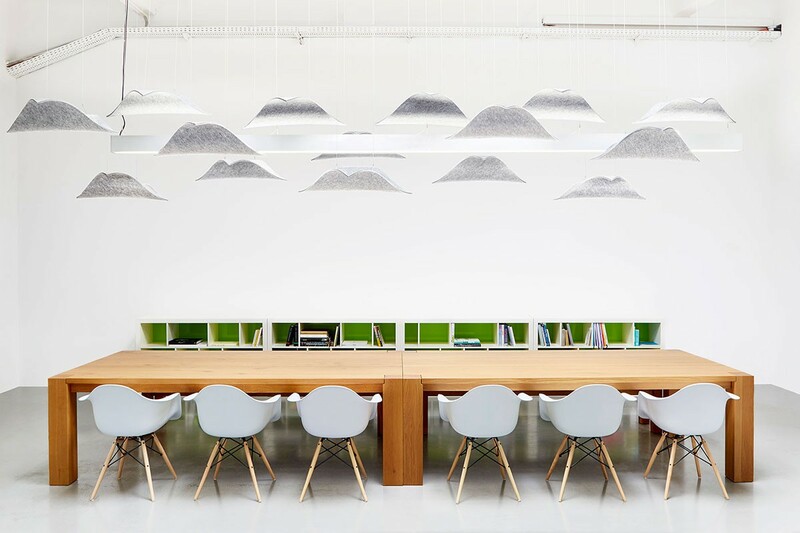 The light grey acoustic substrate pairs with your choice of 62 wool felt colors to make a suspended acoustic panel that is anything but ordinary. Installation Installs with suspension hardware provided with 3’-0” (91.4 cm) length of cable per connection point. Actual ceiling connection depends upon ceiling type and ceiling screws not included.